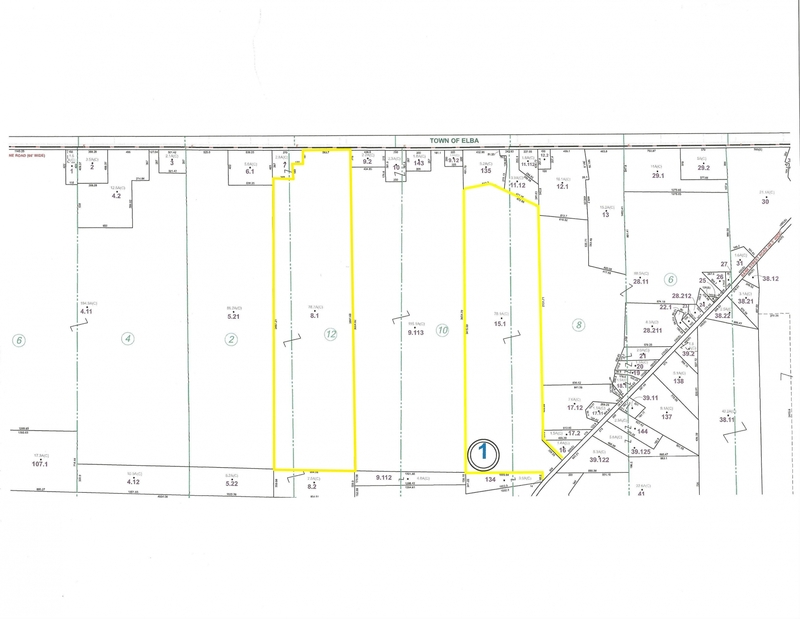 Two parcels of land in Batavia, New York. 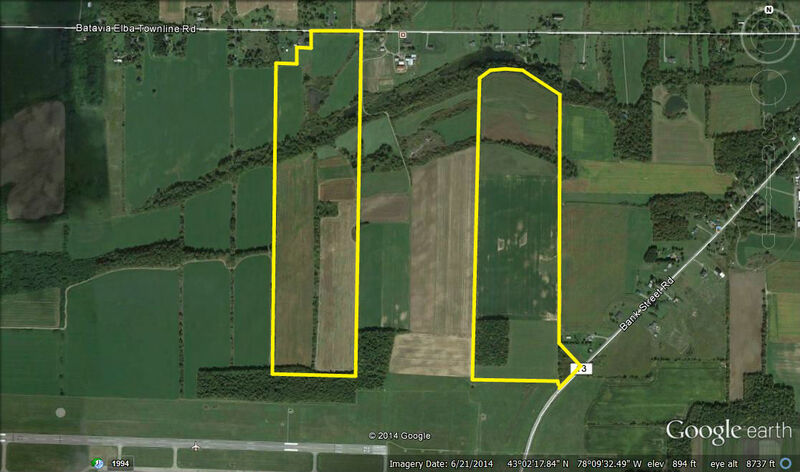 Each parcel approximately 78+ acres with open tillable land and some woods. Eastern parcel has 17.5 acres zoned industrial, Western parcel has 18.63 acres zoned industrial. Borders the Genesee County Airport and is in close proximity to the NYS Thruway. Productive agricultural land with good development potential.